Capcom has announced that the Street Fighter 30th Anniversary Collection will launch on Nintendo Switch on May 29, 2018 both digitally and at retail. The four games that offer online play also feature a recreation of the classic arcade experience as opponents can challenge you in real time as you play through arcade mode! 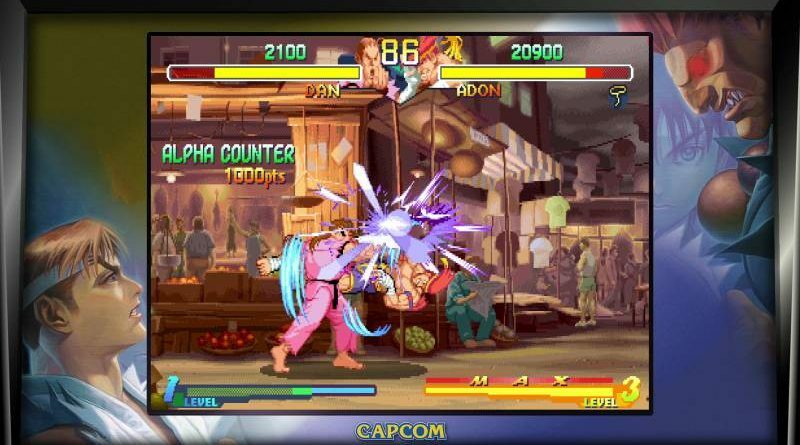 Once the match with another player ends, you’ll be sent straight back to Arcade Mode. You can adjust the frequency of these online challenges or turn them off completely. Online play also features rollback technology that provides low-latency matches with the ability to adjust your own input latency via the in-game menu. The Nintendo Switch version of the Street Fighter 30th Anniversary Collection will contain an exclusive recreation of Super Street Fighter II: The Tournament Battle, a special arcade-only version of Super Street Fighter II that featured the networking of four arcade cabinets and allowed up to eight players to compete in a bracket-based tournament. Using local wireless play, you will need four Nintendo Switch systems and eight controllers to start a tournament, which is perfect for a group gathering. In cases where you don’t have eight players, the CPU will take control of the remaining spots to give you the same tournament experience. Once each match begins, the winner and loser will be placed in their respective brackets, followed by a short period of time where players will switch “seats” to face their next opponent in the tournament bracket. This process will continue until a champion is crowned.